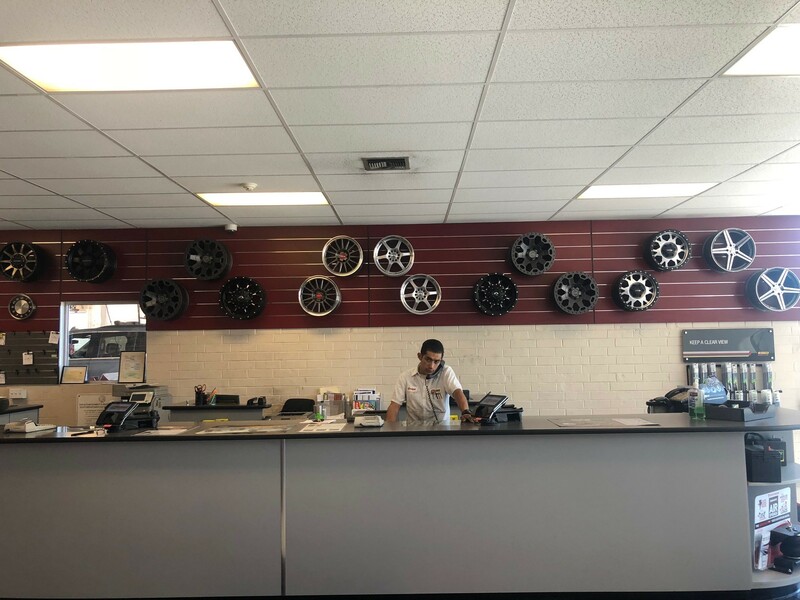 For this week's #TinaTuesday, I had the pleasure of sitting down with Gabe Williams, Manager of the Les Schwab Tire Center on Contra Costa Blvd. Gabe started working at Les Schwab when he was 17 year old sweeping floors at the Salem location. 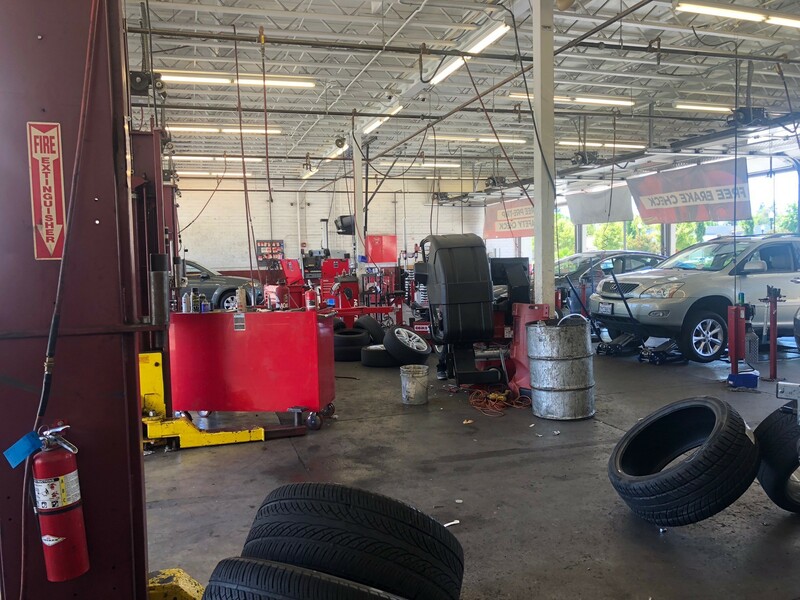 Les Schwab employees are treated like partners; that’s why many of them have been with Les Schwab for well over 30 years. Some stores have 120-200 years experience with all employees combined (Remarkable). Now let me share with you a little about the man, the namesack and founder of the business, Les Schwab. While in high school in Bend at age 15, Schwab and his three siblings became orphans in 1933 when both parents died within months (mother died of pneumonia, alcoholic father found dead in front of a moonshine joint). An aunt and uncle offered to take him in, instead he rented a room in a boarding house for $15 a month and began delivering the Oregon Journal newspaper while continuing to attend Bend High School. At the paper Schwab would eventually cover all the routes in Bend, nine in all, outearning his high school principal, and graduated in 1935. He married his high school sweetheart in 1936 and they became parents in 1940. Schwab became circulation manager for the Bend newspaper, The Bulletin in 1942 and served in the Army Air Corps during World War II. 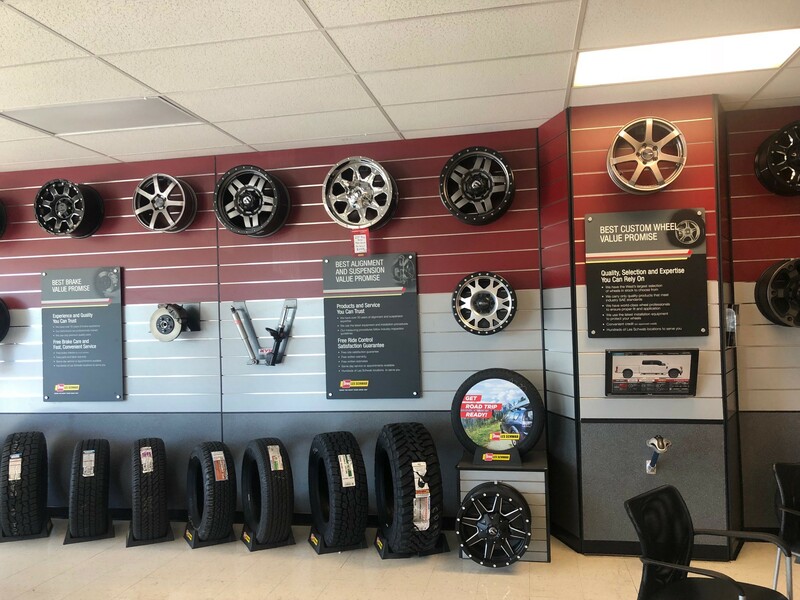 Les Schwab’s venture into the tire business began when he bought an OK Rubber Welders franchise store in nearby Prineville in early 1952. Schwab was 34, with an expecting wife and an 11-year-old son, and had never even fixed a flat tire. He sold his house, borrowed from a relative, and borrowed from his life insurance policy to purchase the franchise for $11,000, which had one employee and included a small shack that didn't even have running water or a bathroom. By the end of the first year, he had increased sales nearly five-fold, from $32,000 to $150,000. A second store was opened in 1953 in Redmond and a third in Bend in 1955. The name of the business changed to "Les Schwab Tire Centers" in 1956, dropping the OK franchise. In the communities served by these stores, the company became known for their advertising featuring employees running out to meet customers, an annual free beef promotion, and the company slogan: "If we can't guarantee it, we won't sell it.". Despite the success of the company, Les Schwab refused to take the company public and to this day it remains a family owned business. Although Les passed away in 2007, his vision remains at the core of the company’s culture: give people more for their money...reward employees for their expertise and hard work...earn people’s trust and everyone benefits. Today, the 7,000+ employees of Les Schwab Tire Centers are proud to carry on this legacy. Here are some facts about the Concord Les Schwab on Contra Costa Blvd you may not know. They are a 10 bay store (those are the slots where the cars go) LOL. 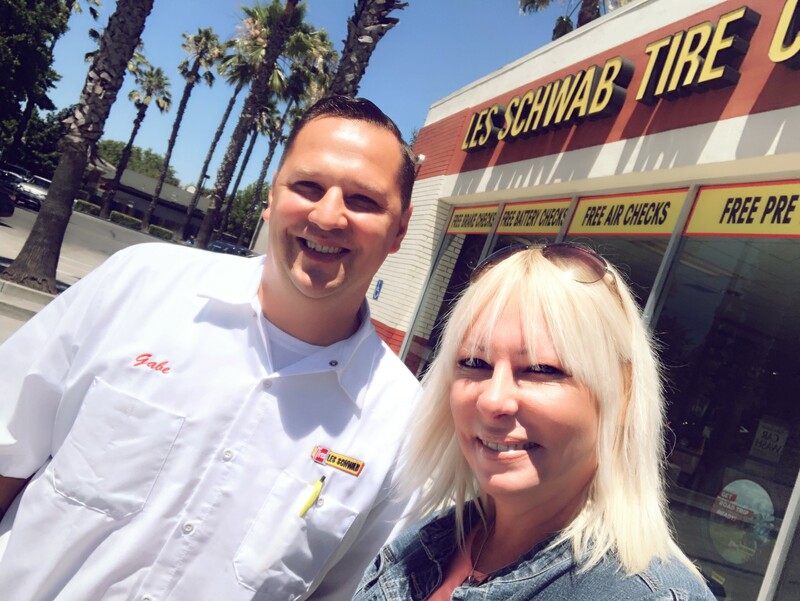 Thank you Gabe, for taking the time to sit down and educate me on the history of Les Schwab and the amazing Company that it was and continues to be. Oh, and Gabe is offering a special through the end of August. If you mention #TinaTuesday, you will get a "Free Flat Repair." Thank you for that, Gabe!